Christians and Muslims in Makurdi at the weekend celebrated the peaceful coexistence among adherents of the two faiths by a colourful cultural display to deepen their understanding for one another. 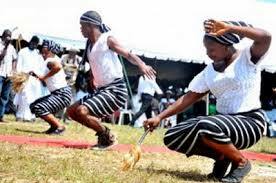 The cultural event which held at the MacCarthy stadium in Makurdi featured Islamic cultural display, gospel rendition, traditional dances of Idoma, Tiv, Hausa and Jukun extraction among others. President of the non-governmental organisation known as the Next Generation Youth Initiative (NeGYII) and organiser of the event in collaboration with CLEEN consortium, Ambassador Onoja, intimated that the cultural show was to help build a resilient community in the Benue State capital. 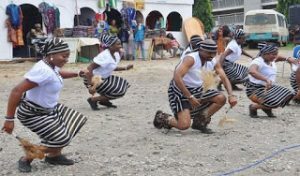 “In pursuit of the project of prevention of violence and youth radicalisation for possible extremism in Benue state, we here today (Saturday) for cultural show and exchange event to exploit and harness cultural diversity to help build a resilient community in Makurdi and Benue state in general,” he said. Onoja added that the event aimed at promoting religious and cultural harmony among the different religious faiths, cultures and ethnic groups in the state so as to remove mutual suspicions and distrust for a common sense of neighbourliness to prevail. The NeGYII president noted further that because peace is essentially borne from culture, it became necessary to import the idea into the driving peace process which the organisation wants to achieve as its own way of mitigating against violence in the society.